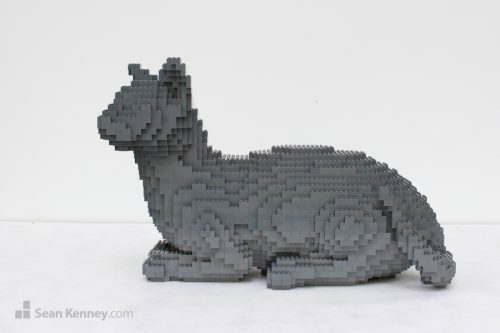 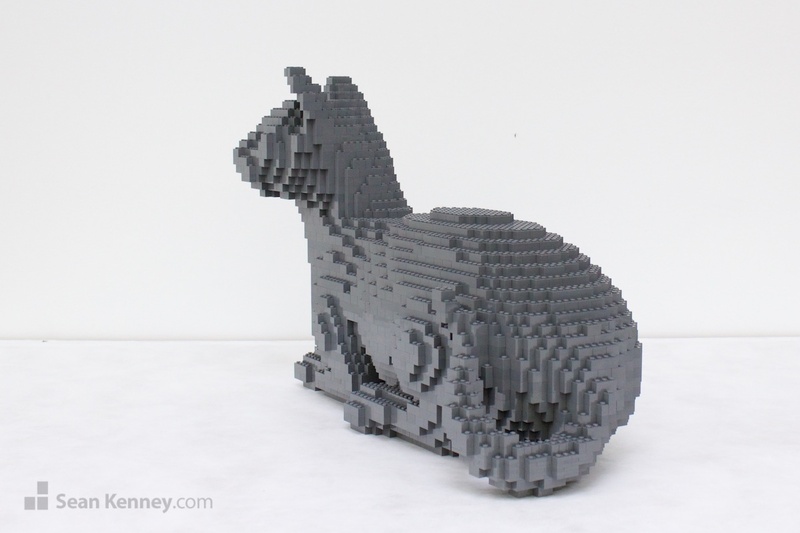 This simple sculpture of a cat was designed to be a basic monochromatic shape, not unlike a mannequin. 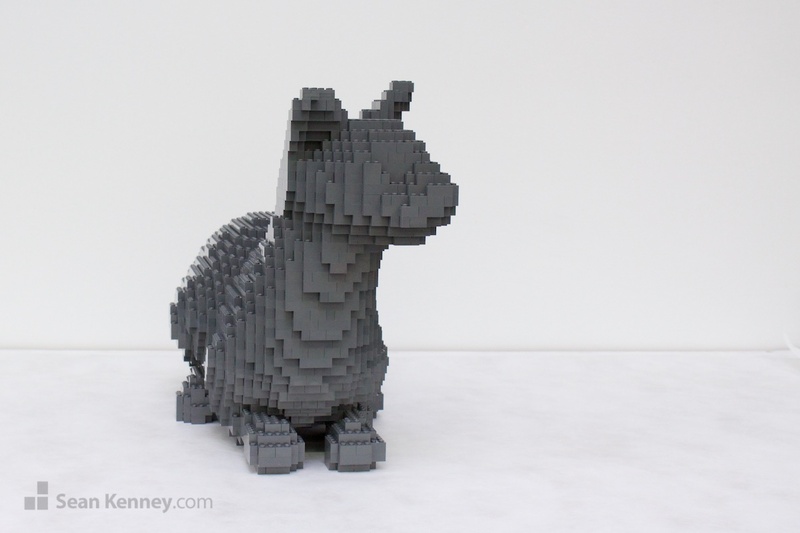 The idea was to keep the construction basic and simple, while still getting as much personality as possible into the character. 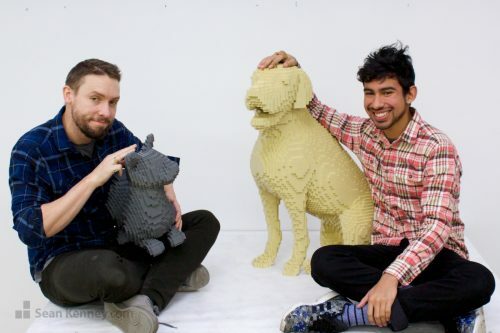 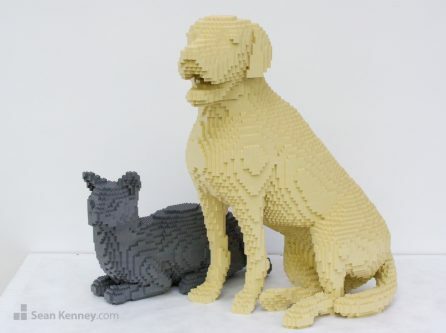 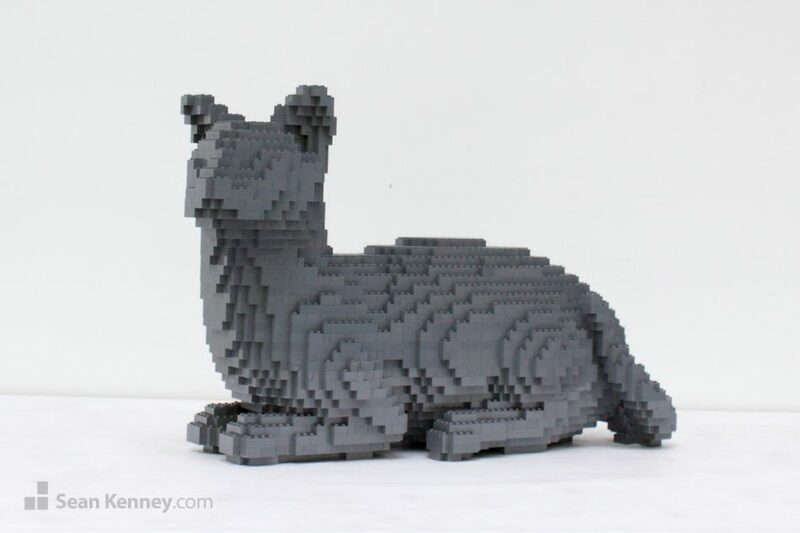 Check out the LEGO Dog Sculpture that we made to match!